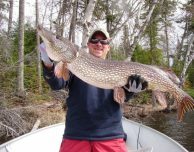 This is the Best Northern Fishing in Northwest Ontario! Which lake is the best? Well, the answer to both questions is, you can’t go wrong! First, our lakes are all hand-picked. There isn’t a lake here that we wouldn’t personally take our friends fishing on! About the best time to fish – because of the remoteness of our lakes the fishing stays consistent year-round from opening weekend the 3rd Saturday in May to the end of September. 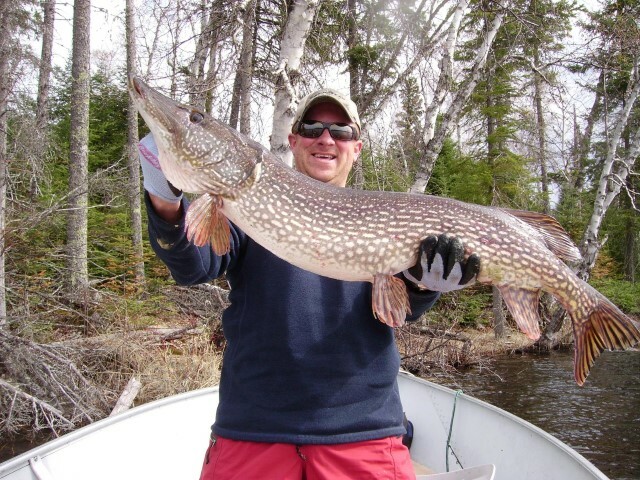 Pretty much any lake will give you a very good chance to catch trophy Northern. 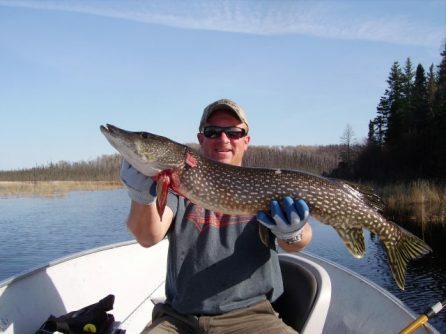 The Northern fishing at Larus Lake was “off the map” last year, said Jerry Filkins and Mike Bowen. They had a group that came up in about July and had a great couple days of fishing. 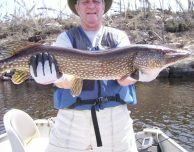 Larus has two sets of inlet rapids, which are an ideal spot to catch nice-sized Northerns that are waiting to strike Walleye feeding nearby. 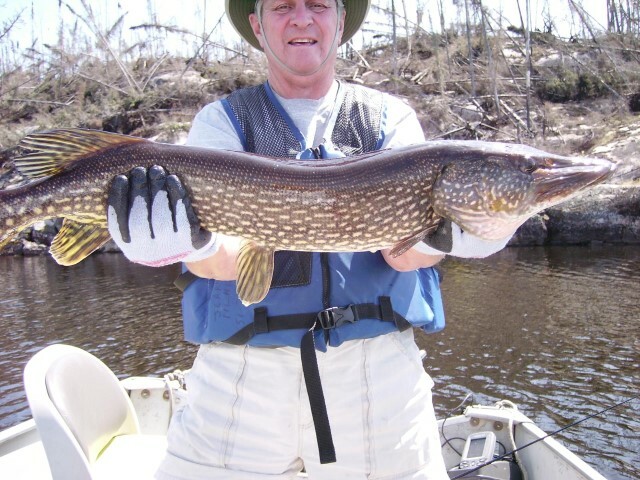 Take a look at the photos from their trip – Mike with a 42 1/4″ Northern released behind the Larus Beach cabin looking at the rapids, Jerry with a 37″ Northern released by the Larus Bay cabin, and Mike again with a 40″+ Northern he released in the rapids!